Saloon settees convert to 2 single berths. I know it's all been heard before "Excellent condition" "Turn key boat" etc but this boat really honestly is in like new condition. Take a look at the completely honest photos and videos then come and see her to really appreciate this boat. Current owner is the second owner and they have cruised extensively for the last five years always keeping the boat in the best possible condition and maintained to a very high personal standard from her engineer owner. A very spacious cockpit with a swiveling wheel for ease of access and huge locker space. Easily managed side decks. Below there is a well laid out and very roomy accommodation deck. There may be a few 343's on the market but this example must be seriously considered before making that decision on a new Oceanis 343. British flagged. 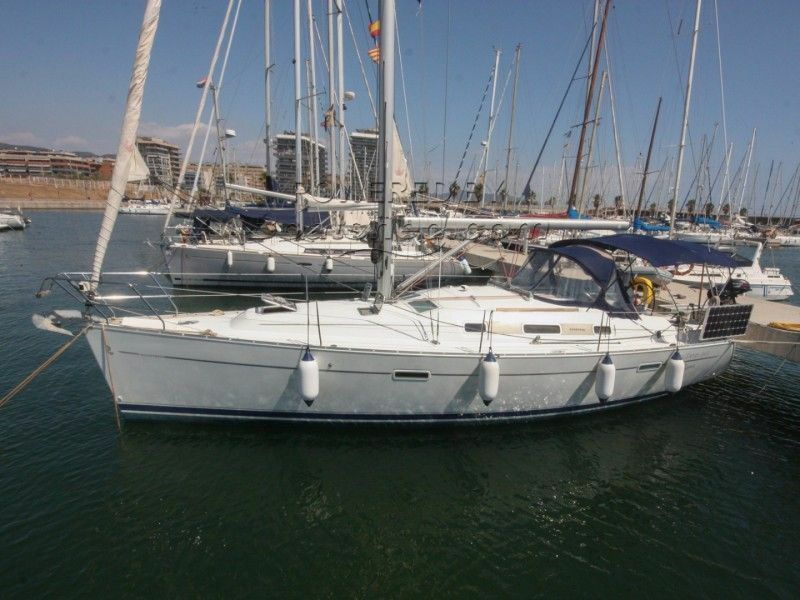 This Beneteau Oceanis 343 Clipper has been personally photographed and viewed by Paul Griffiths of Boatshed Barcelona. Click here for contact details.